The KBS Tank Sealer System will stop rust and form a tough, fuel impervious coating while sealing small pinholes and weld seams. 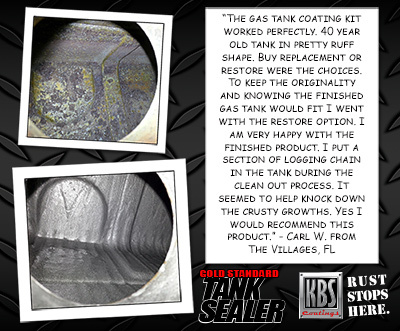 Whatever your tank holds will never touch the inside walls of your tank again. 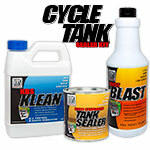 The KBS Tank Sealer System contains enough KBS Klean, RustBlast and KBS Tank Sealer to prep and permanently seal your tank. 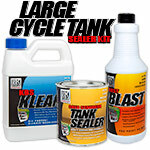 The KBS Tank Sealer System contains everything you need to prep correctly and seal your tank. 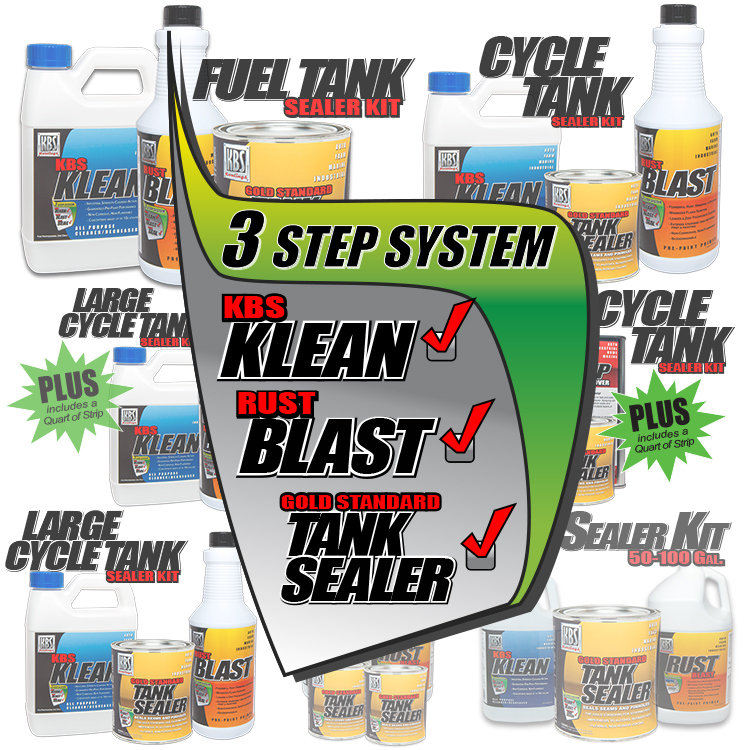 This all-inclusive kit contains our KBS Klean (a water-based, heavy-duty, cleaner/degreaser) and KBS RustBlast (a powerful rust remover/metal etch) to obtain a permanently sealed, rust-free fuel tank. 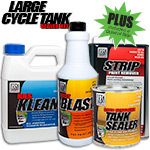 These KBS prep products are formulated to leave a zinc phosphate film and an ideal surface profile for permanent adhesion of the Gold Standard Tank Sealer. 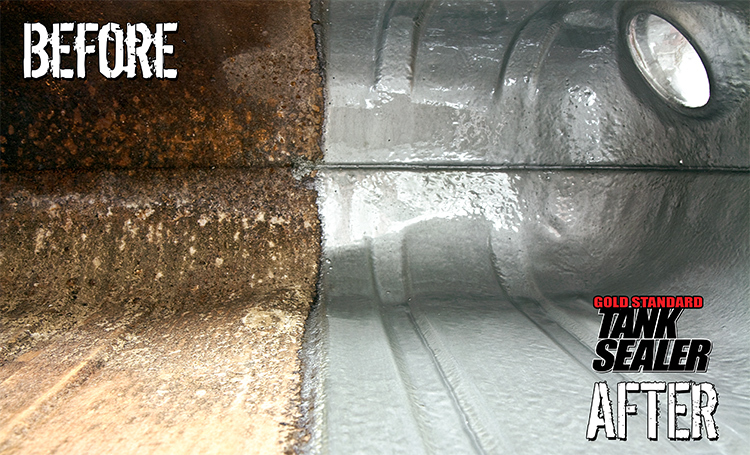 Gold Standard Tank Sealer can withstand temperatures of up to 500° F.
The directions were very easy to follow. The kit worked great and my tank no longer weeps fuel. Very simple and easy to apply. 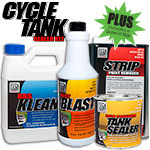 Our "PLUS" Kit contains everything found in our Large Cycle Tank Sealer Kit, "PLUS" a quart of KBS Strip to quickly remove any old failing sealers previously used to seal your tank. 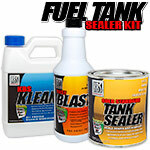 Our "PLUS" Kit contains everything found in our regular Cycle Tank Sealer Kit, "PLUS" a quart of KBS Strip to quickly remove any old failing sealers previously used to seal your tank. 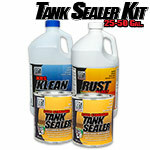 A money-saving 3-Step repair kit which includes enough products to clean, prep & permanently seal up a 25-50 gallon tank. Detailed instructions included. Satisfaction guaranteed!